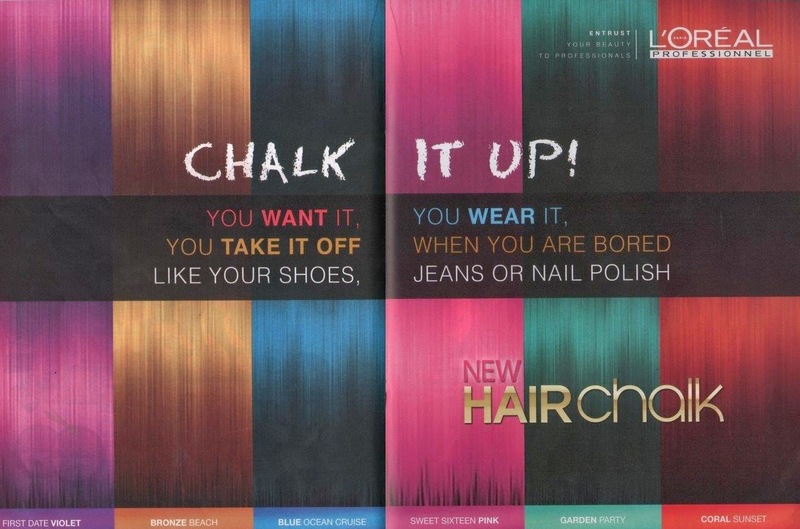 Review : CHALK IT UP WITH THE HOTTEST GLOBAL HAIR TREND: Introducing L’Oréal Professionnel’s show stopping Hair Chalk! Hot off the international fashion week runways, L’Oréal Professionnel, the Parisian house of hairdressing, launched their coveted Hairchalk collection in Pakistan through exclusive makeovers for salon professionals and members of the press at the Professional Products Academy located in The Forum, Karachi on Monday, 10th March 2014. 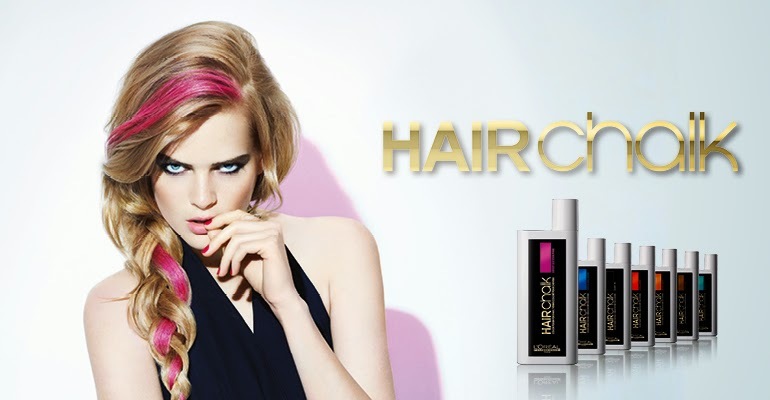 Hairchalk is now available across select salons in Pakistan starting March 2014. 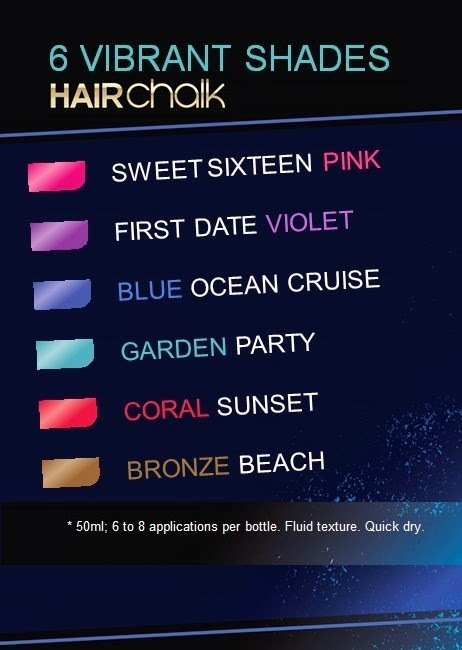 The biggest global hair trend of the year, Hairchalk is L’Oréal Professionnel’s revolutionary new temporary hair colour that comes in six vibrant shades including Sweet Sixteen Pink, First Date Violet, Blue Ocean Cruise, Garden Party, Coral Sunset and Bronze Beach. 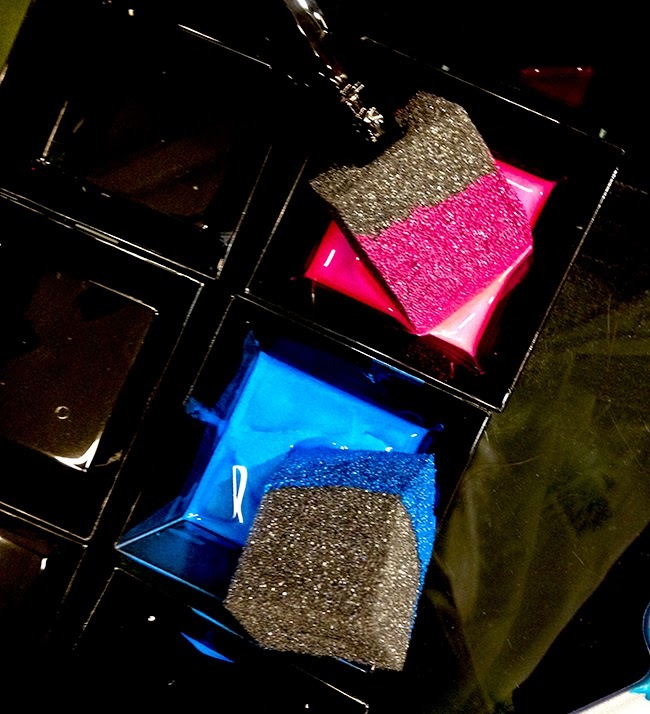 The Hairchalk range is inspired by the way people accessorise with make-up and nails, allowing patrons to change hair shades as often as they do their shoes, jeans or nail polish! 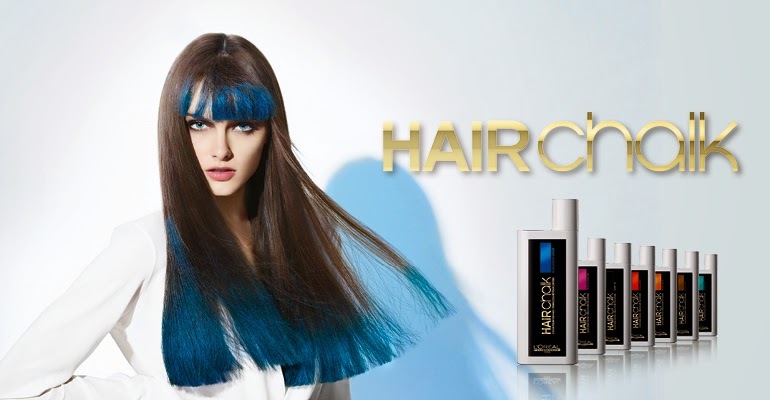 The new range of hair colour polish has most recently been trending across shows at London Fashion Week and sported by some of the world’s biggest celebrities such as Alexa Chung, Katy Perry, Avril Lavigne and Lady Gaga. 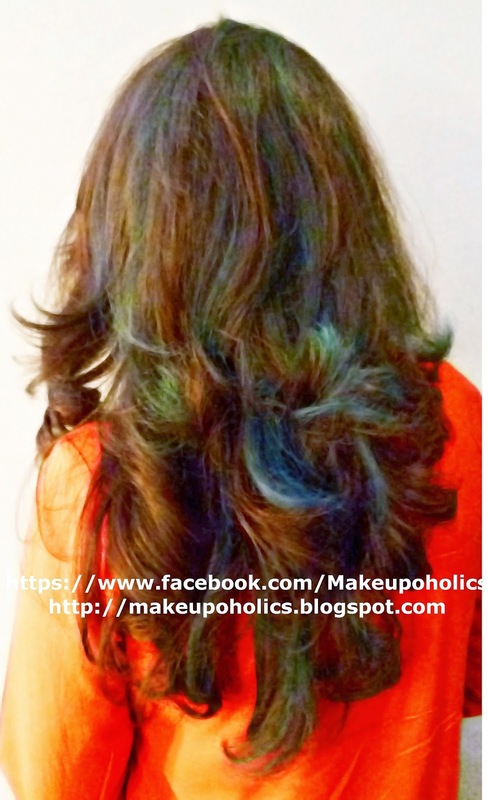 Hairchalk can be applied in salons or at home and lasts for up to two shampoos. 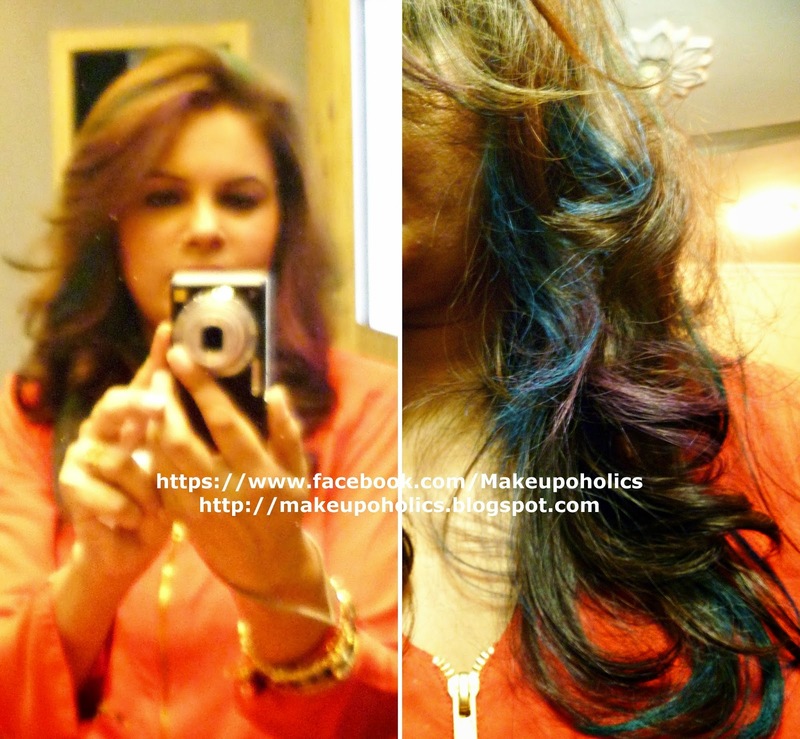 From my previous Hair Chalking Post , you all may know that how crazy I can go for hair chalking and all . I absolutely love to have vibrant chunks of colour in my hair. This time , i wasn't up to any wild experiments and I was lucky enough to be invited by L'Oreal Paris Pakistan team to get my hair done at one of the leading and trendiest saloon Maram & Abroo. Before I go any further , I would like to thank L'Oreal Paris Pakistan Team , Lotus Pr Team and last but not the least Maram & Abroo Salon and Studio for their kind services . Their staff was very friendly and cooperative rregardless of the fact that I was just a guest , they pampered me beyond my expectations . Do check out Maram & Abroo Salon and Studio facebook page by clicking HERE as they offer some amazing services. 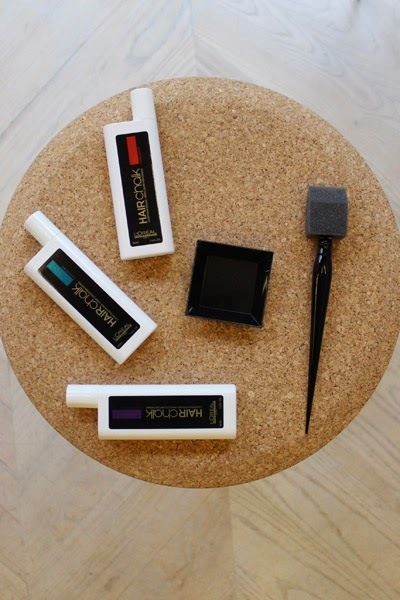 Hair chalking is the latest trend and L’Oréal Professionnel’s show stopping Hair Chalk is the best possible solution available in the market right now . 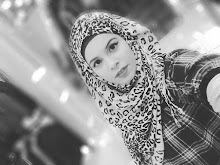 I was received gladly by the Maram & Abroo team for the experience. Not only I like the ambiance but was also overwhelmed by their co operation throughout the process .The process is far more easier then using the other mediums for hair chalking. You just need to take out your desired color in a bowl and just apply the colour directly to your hair with the help of the sponge. Then simply blow dry your hair to lock the color . The color will last for around 4-5 hair washes as these are not permanent hair colors. After hair chalking , a gloss or serum is a must to apply as the procedure results in leaving your hair extra dry and frizzy. Maram & Abroo gve me a nice blow dry setting afterwards. No need to wet your hair before applying chalk. I wanted to at least wash my hair for once before i publish this post to check the results . And i could clearly see the water turning into blue color in the shower as the colors were coming off from my hair .But even then , for a change it's a good and safe way to go. *Some text and images are taken from the Internet without any intention of violating any copyrights . your hair looks gorgeous sana. Maram & Abroo definitely give an amazing blow dry. completely changed the look of your hair. i totally agree .. they are AMAZING ! I am so happy that you got them finally. . You look superb ma sha Allah. I so want it! Your hair is looking lovely! Amazing post! Your hair are too die for! I'll try this! Thank you!